Bruce Greene's paintings convey to the viewer a sense of experiencing the moment. 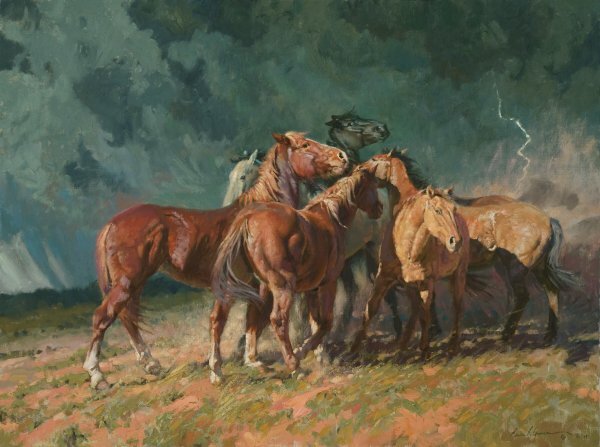 As these horses gather together to weather the approaching storm, we sense their fear in knowing nature can be a powerful force. Having been through many storms on the plains, the animals know the swirling dark clouds, the flash of lightning, the crash of distant thunder, and the torrents of rain all too well. Perhaps, on this day, the storm will pass around them and nature will give them a reprieve.